Victor Frankenstein comes out in UK cinemas today, so we decided to share a few science themed gifts with you all! We have everything you need to treat the science savvy person in your life, from handy desktop gadgets to super cool drinking accessories! Regardless of whether or not you take any interest in how magnets actually work, this quirky papeclip holder is a great little novelty for your desk. It gives the owner free reign to create their own hairstyle for famous physicist Albert Einstein, comprised solely from an assortment of odd paperclips that may be scattered amongst their stationary. Both fun and functional, this guy will give you a handy storage solution, while also providing a spot of entertainment for your procrastination breaks.. It can be a pain having to buy a new pack of batteries every time you're gadgets run our of juice, so why not buy a set that you can keep reusing? No complicated charging kits are needed in order to jig these batteries back into action, just plug them into your computer's USB until they've recharged and you're good to go! Now you may think that the connection between 'Victor Frankenstein' starts and ends with the science theme we've picked out for our gift guide, but you'd be wrong! This mug is a great way to aid your retention of the table of elements, providing the perfect tool with which to serve your revision coffee. Now, here is where the movie connection comes in. Another way of committing your table of elements to memory, is buy learning the 'Elements Song', something that 'Victor Frankenstein' star Daniel Radcliffe knows all about. Did you ever have to learn the scientific hazard symbols in school? Do you remember what this one means? In case you didn't remember, it's a bio-hazard sign, which could be a rather apt analogy for the gent who's not so good in the kitchen. Be honest, the best gift you ever got for Christmas was your chemistry set, wasn't it? Why not reminisce this year while having your Christmas drink, with these awesome Chemistry shot glass sets? Choose from our colourful test tubes or our teeny tiny measuring beakers, and see what strange concoctions you can come up with. To see more of our great selection of gifts, click here. From page to screen, comic book heroes and villains have been an integral part of modern popular culture, particularly in recent years. Whether you're a budding Batman or an aspiring Avenger, we stock a wide range of themed accessories and novelties here at Gadget Inspector. To show you some of them, we thought we would put together another gift guide so you can get all of your shopping done in time for Christmas! Bruce Wayne may have Alfred to do all of his cooking, but some of us just aren't that lucky! If you don't have an elderly butler to do all of your work, don't despair, we have the perfect solution to your problems. 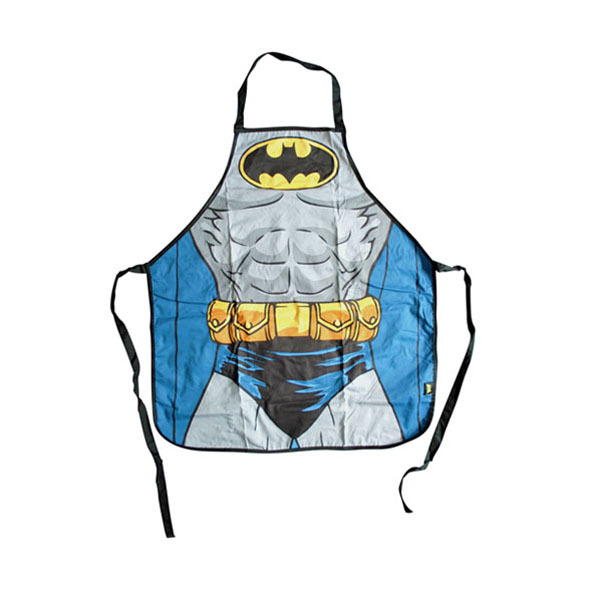 This easy-tie apron is perfect for whipping up a hearty meal in a hurry, particularly if you find yourself having to pop out between dishes, to deal out a dose of justice on the streets of your city. If you find that your tea demands often go unnoticed, this hefty Hulk mug could be the solution to all your beverage bothers. 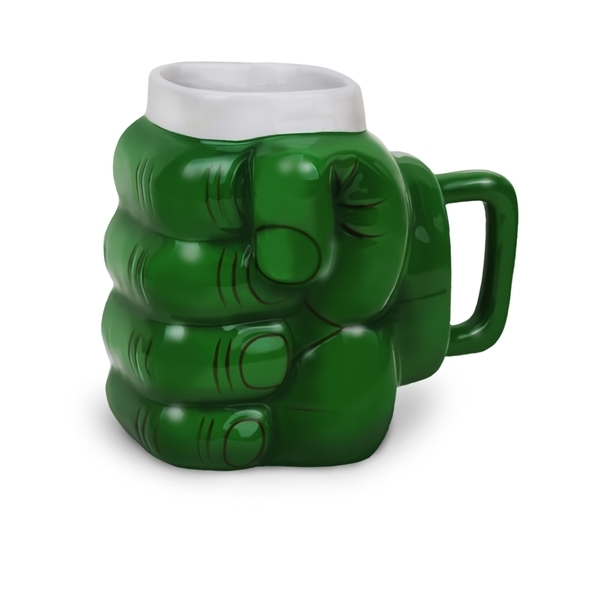 Shaped to resemble the sizeable fist of the green Goliath, this mug not only provides you with a generous helping of your chosen drink, but also sends out the message that you won't take no for an answer! Joker Wallet and Belt Set. 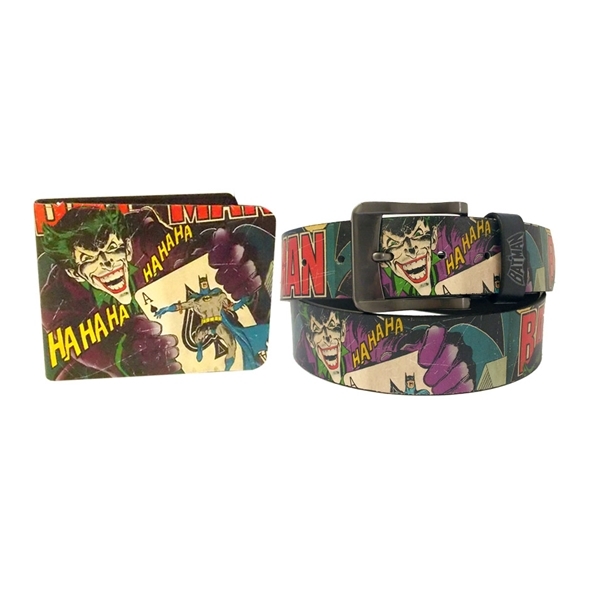 If badass bad guys are more your speed, then why not show your allegiance with this awesome, Joker wallet and belt set? Complete with a cool, retro comic book design, these additions to your wardrobe are an ideal way to show some love to good ol' Mister J. Just pair them with a purple suit, and you have the perfect combo! The Batman v Superman film is being released in the new year, so it's high time that we all picked a side! Wear your allegiance on your sleeve (quite literally), with one of our superhero cufflink sets! Whether your a high-flying businessman or a justice-serving journalist, be sure to show where your loyalties lie. Browse the rest of our selection here. Stay tuned until next time, when we bring you another gift guide to save the day! To see our full range of gifts and gadgets, visit our homepage now!